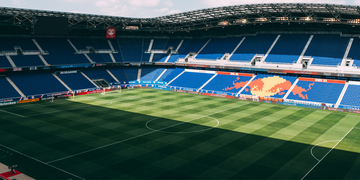 Red Bull | Does Red Bull Arena influence your Red Bull buying behavior? Do you play soccer or consider yourself a soccer fan? If you were to watch a live game in Red Bull Arena, do you think you would be more likely to purchase a Red Bull either before, after, or during the game than if you watched a soccer game in a different stadium?